Fractional CO2 Laser resurfacing is one of the most popular treatments at Castleknock Cosmetic Clinic Dublin for patients seeking to enhance the appearance of their skin. Unlike traditional chemical or non fractionated laser peels, where effective results are associated with long periods of downtime, fractional CO2 laser technology offers a short-downtime solution for treating wrinkles, scars, pigment, and tone and texture. New generation fractional devices use ablative wavelengths as high as 10400nm also referred to as CO2 Lasers. CO2 Lasers are considered the gold standard for skin resurfacing. The results are far more predictable and the results are more dramatic. The procedure is performed under local anaesthesia and twilight sedation if desired. Fractional CO2 Laser Therapy is delivered by laser modalities that use 10400 nm wavelength energy to create micro-ablated channels deep in the dermal tissue, covering only a fraction of the total surface area and leaving the surrounding skin intact for faster healing and increased comfort. The wound-healing process produce fibroblasts that generate new collagen, plumping the skin and dramatically correcting skin imperfections. The fractional CO2 can instantly eliminate damaged tissue, accounting for effective results in just 1 to 2 single-pass treatments. The downtime from the procedure is short, and patients can typically resume their normal activities and get back to work in only 3 to 4 days after the treatment. ProUltra-C laser allows us to select from a wide spectrum of treatment depths and densities, depending on the indications treated, the desired outcome and the patient’s tolerance of downtime. Use Light depth treatments for pigment, medium depth for fine lines and wrinkles, and deep for deep scars, acne scars or deep wrinkles. Use low-density area coverage for more conservative, shorter-downtime treatments, and higher-density area coverage for more efficacious results or to reduce the number of treatment sessions. Furthermore the actual size of the MTZ can be as small as 0.2 mm thanks to its powerful micro-scanner. Recognition of suitable candidates for carbon dioxide laser resurfacing is of paramount importance to avoid undesired outcomes. Generally, patients aged 40-65 years with fair skin and fine-to-moderate static (nondynamic) wrinkles are ideal candidates. Patients with realistic expectations, such as those who seek improvement rather than complete eradication of wrinkles or scars are ideal candidates. 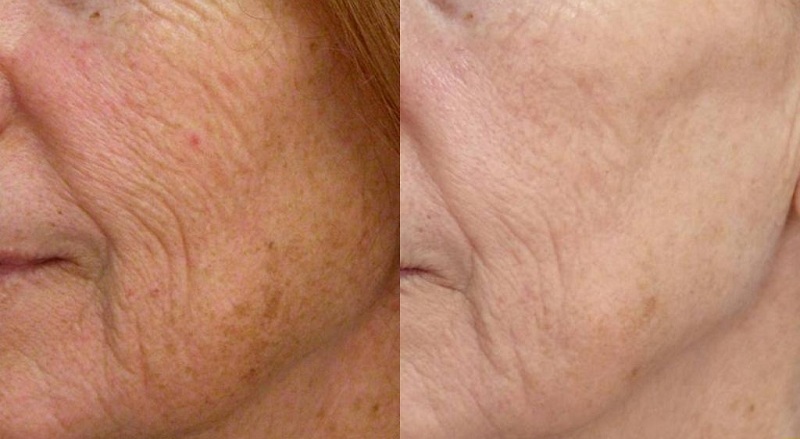 Carbon dioxide laser resurfacing (as the sole treatment) can achieve excellent results in patients with mild-to-moderate surface texture changes and fine superficial or moderate static wrinkles but not in those with deep furrows or severe dermatoheliosis. Carbon dioxide laser resurfacing combined with muscle relaxing injections for dynamic lines and wrinkles or with Mini Facelift for advanced skin laxity also can produce excellent clinical improvement in these conditions. 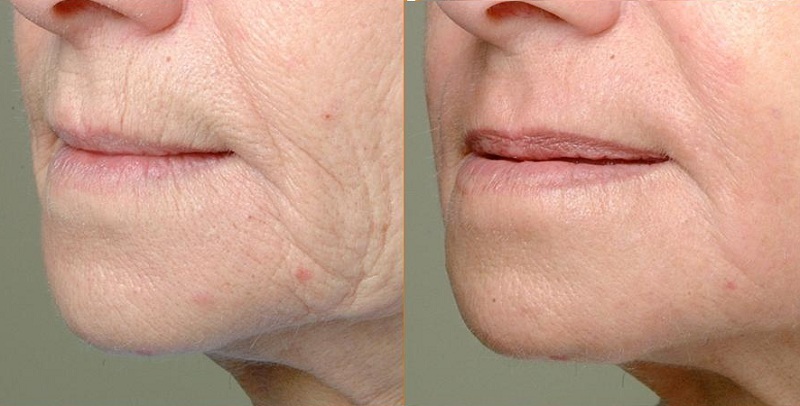 Carbon dioxide laser resurfacing has proved to be a valuable method for facial rejuvenation of photodamaged skin with detectable improvement of fine lines and wrinkles, mottled dyspigmentation, rough skin texture, and solar lentigines. Carbon dioxide laser resurfacing can eradicate precancerous growths such as actinic keratosis, although prevention of future development of actinic keratosis has not been substantiated. At Castleknock Cosmetic Clinic Dublin we offer patients wanting immediate lasting results with minimal down-time and discomfort the Fractional CO2 Resurfacing Peel. Fractional CO2 Peels remove 20% of the surface area. The laser’s 21st century computer guided precision German technology enables us to select exact level of skin surface ablation and coagulation necessary for light or deep fractional laser peels not possible with other lasers. Our patients can choose the result they desire according to their down-time flexibility. Whether you desire deep resurfacing with dramatic results or light exfoliating peels we are happy to deliver a comfortable procedure to suit your needs. The three modalities achieve the same result eventually, however you choose which method you want according to your desired recovery time. If you can only afford a couple of days off, you may want to proceed with 2 sessions of the light peel six weeks apart. However, if you want immediate results and can afford a week of downtime, then we recommend one session of the ProUltra-C Fractional CO2 medium peel. Deep peels have long recovery and are reserved specific conditions like deep acne scarring or skin laxity. Fractional CO2 Laser “Light Peel” treat unwanted skin conditions typical of aging with the consideration of active lifestyle. It is ideal for those patients that desire improved skin with immediate lasting results, little time off, minimal discomfort and easy post treatment care. Downtime is 2 to 3 days. This treatment is not so popular due to the extended downtime of 3-4 weeks. It is only reserved for severe acne scarring and severe skin aging.